Tamarind gojju is a delicious thick gravy prepared from tamarind pulp, jaggery and spices. It is popularly served with Khara Pongal / Ven Pongal / Huggi. Although Tamarind gojju is such a simple preparation, it adds ton of flavors to the creamy Pongal. Actually the first time I ate Khara Pongal in Mysore, it was served with tamarind gojju. Ahh.. the flavors married so well, it was truly a match made in heaven. Although Pongal can be eaten with chutney or sambar, personally for me Khara Pongal and Tamarind gojju go hand in hand..
Soak the tamarind in 2 cup of hot water for 20 minutes. Mash the tamarind with your finger tips . Extract the tamarind extract .You can use a sieve to do this. Now take the tamarind extract, add 1/2 - 1 cup of water. Add the jaggery, grated ginger , green chillies. Boil the mixture until it slightly thickens. turn off the heat.Add salt as per taste. To prepare the tempering, heat oil. When hot, add mustard seeds and dry red chillies. When the seeds start to splutter, add the the curry leaves. Turn off the heat. Add the tempering to the gojju. 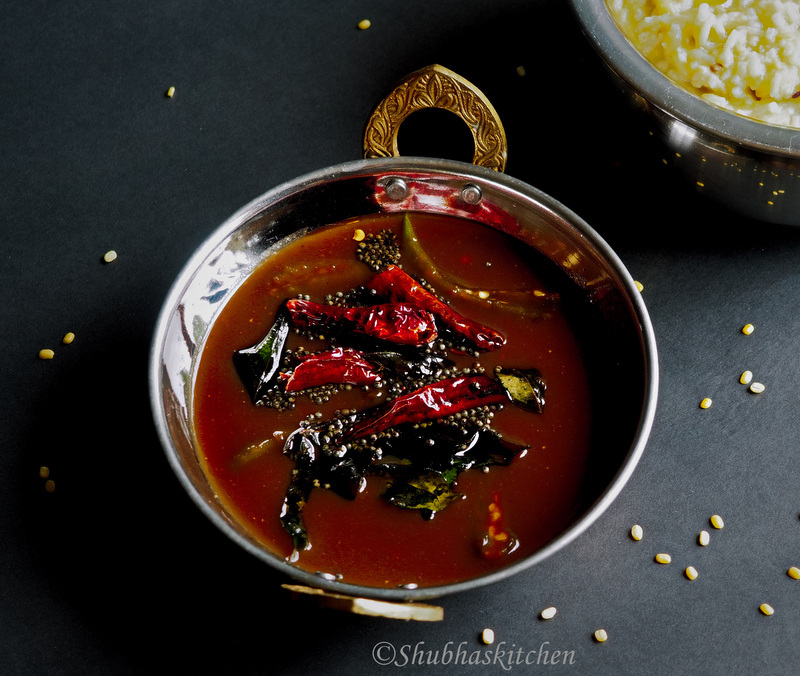 Serve gojju with hot Pongal. I have never heard of this fish .. but it looks so Delicious.. very well explained too! This is my favorite. We make this with huggi. 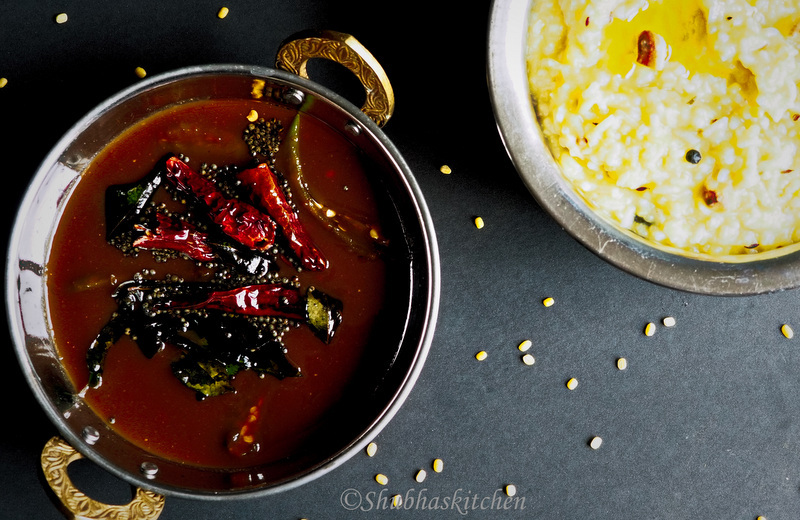 Actually now I want to make this :) Lovely post Shubha! This is an interesting dish. I would love to try. So other than pongal what else can you eat it with?